From Weatherhall Weekender in France, to producing some right top techno tunes, even to some witty freelance journalism, founder of Boys Own, is there anything this dapper young ‘MAJOR’ can’t do? He needs little introducing, his sharp tongue and punk techno ways are something that’s made him a lovable rogue for decades. The late 90’s saw him pursue a more cutting edge IDM approach that was freshly emerging in the early 1990s. It was originally influenced by developments in underground dance music such as Detroit techno and various break-beat styles that were emerging in the UK at that time, relying upon individualistic experimentation rather than adhering to musical characteristics connected with specific genres of dance music. Weatherall's first studio work was alongside Paul Oakenfold on the club remix of Hallelujah. The success of this meant other remixes followed, ‘World’ for New Order; ‘Loaded’ was a hit remix of Primal Scream's earlier track ‘I'm Losing More Than I'll Ever Have’, and the widely praised 'A Mix of Two Halves' version of Saint Etienne's ‘Only Love Can Break Your Heart’. His love for imperfections and ‘actuality’ (his word to describe recording sounds outside the computer) have made him some what a legend in the dance world, his indie/punk background has made his style recognisable, from his more dubstep remixes to techno punk. Weatherall, Terry Farley, Cymon Eckel, Pete Heller and Steven Hall joined to form Boy's Own Recordings (1990–1993), then in 1992 Terry Farley and Steven Hall began Junior Recordings Ltd., which started to use the label Junior Boy's Own (JBO). Weatherall left to start his label and band Paradise. Junior Boy's Own specializes in dance music, with Underworld and The Chemical Brothers as its most successful artists. He then continued to produce more record labels. Rotters Golf Club is an electro record label he set up 2001. The label was mainly 12" single-orientated, with most releases actually by Two Lone Swordsmen (Andrew Weatherall and Keith Tenniswood aka Radioactive Man) under various guises, with Remote, Craig Walsh and Decal being the only other contributors. He doesn’t seem to be stopping, The Weatherall Weekender deputed last year, set in the South of France in a grand medieval castle thousands of fans turned out to witness an unforgettable weekend of events. It was a successful occasion for Weatherall and friends, so successful he returned this summer! Weatherhall himself chose the distinct line-up. The music, kicked off on the Saturday with Romanian dub house duo Khidja. Other sets came from Scott Fraser, garage rock outfit The Liminanas and Weatherall himself, spinning sets alone and with Sean Johnston. The duo played ‘As a Love from Outer Space’ a somewhat distinctive tune, with some of Weatherall’s indie/punk background in cooperated. 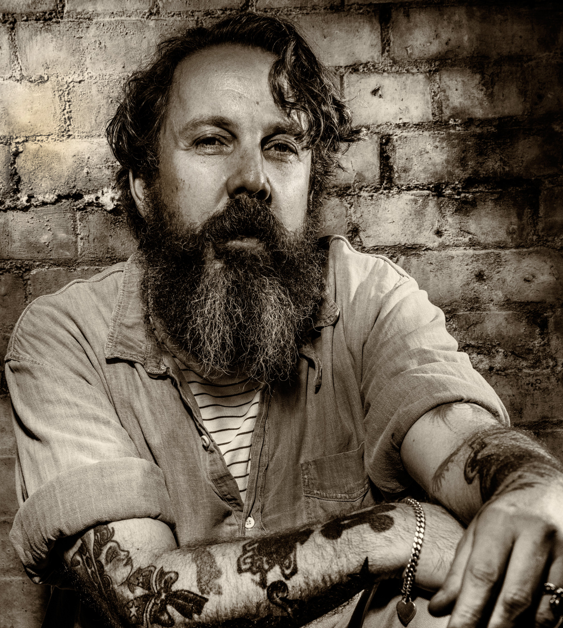 Weatherall is now going to be back in good old Manchester, for a little while any! Joining a massive team to celebrate Bugged Out’s 20th Birthday at WHP which returned to Store Street on September 26th with Seth Troxler opening the series. With limited capacity, there are less than half the number of tickets available for the 2014 season compared to the last couple of years. Weatherall’s first appearance at the WHP will be on the 15th November for BUGGED OUT! 20 YEARS, he is definitely an old favourite after first playing at Bugged Out! in 1995. Alongside him will be Green Velvet, George Fitzgerald, Erol Alkan, Skream. He will then return to the Warehouse Project on 5th December, for WHP Presents along with the Chemical Brothers, Breach and Bicep, which is truly set to be a night to remember. Check out Andrew's remix of J. One M.One by Atari Teenage Riot below, named as one of his greatest remixes by FACT magazine. The Atari Teenage Riot EP was released on 6th October.